Job search coaching. This is serious business! How many of you actually know the best way to job search in 2010? It's different from even a year ago. With the increasing use by employers and recruiters of social networking sites and online search, candidates need to become highly visible online. (See our Online Identity Management offering). Traditional networking has become turbocharged in this environment as well. (Click here to get your copy of our recently published "Turbocharged Networking for $100K+ Jobs - 5 Steps to Job Search Success." There are huge numbers of resumes chasing fewer posted jobs (although this picture is definitely looking up as the tech sector starts to recover). You are probably wondering, "How do I get my resume in front of the right people and how do I then stand amid the flood of other resumes?" The second question we answer on our Executive Resume Writing page. The first is the challenge we address in job search coaching. We provide you with a complete roadmap for your job search and indicate which methods are high probability for you and which are low probability in terms of success rates. You can then plan your job search time accordingly. We provide you with coaching support as you go through this process. 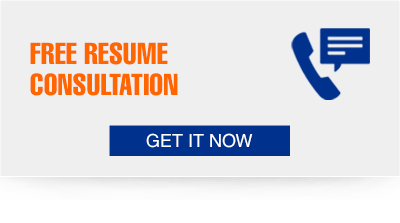 We identify and help you implement the trickier job search strategies that have recently emerged as promising. You'll know what to do about social media, the likelihood of your name being Googled, implementing a direct mail campaign to C-level hiring managers of your target companies, using executive recruiters or not, how to leverage advanced, Internet-enabled networking, and finally how to conduct a consultative networking meeting. If you feel in the dark about job search these days, contact Ty at info@AResumeforToday.com for a free consultation about what job search coaching can do for you.